I know this is stupid, but does anyone know what brand or type of Coveralls does Joel wear? I'm trying to find a good accurate pair, lol. The cool thing about that option is that you can modify the pattern, and pick your own fabric (so you can find something that is more of a maroon color, like Joel wore in the later seasons). My mom is a sewing genius, so I think her and myself will go the pattern route. That pattern looks really great; thanks for linking, Derek! Or you can buy the iron-on fabric that you can print out from your computer. It's available pretty much everywhere, and works really well. I used it to make a Ghostbusters arm patch once, turned out great. Downside is, I don't think you can machine wash it. I already got the patch from Etsy. Got it very fast and it looks great. Tad small, I'll admit, but it's no biggie. :oThat looks awesome! I have yet to order one, but I just might do it after seeing this. 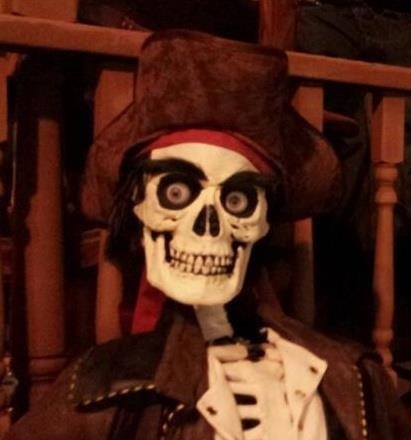 I'm having Joel as well as the bots inmy halloween display this year. I got those coveralls from eBay for $32 and that Gismonics patch from the source mentioned. He will make a larger version than the 4" one he advertises. I got one made that's 6" across and it seems about the right size. The maker was reliable for me. 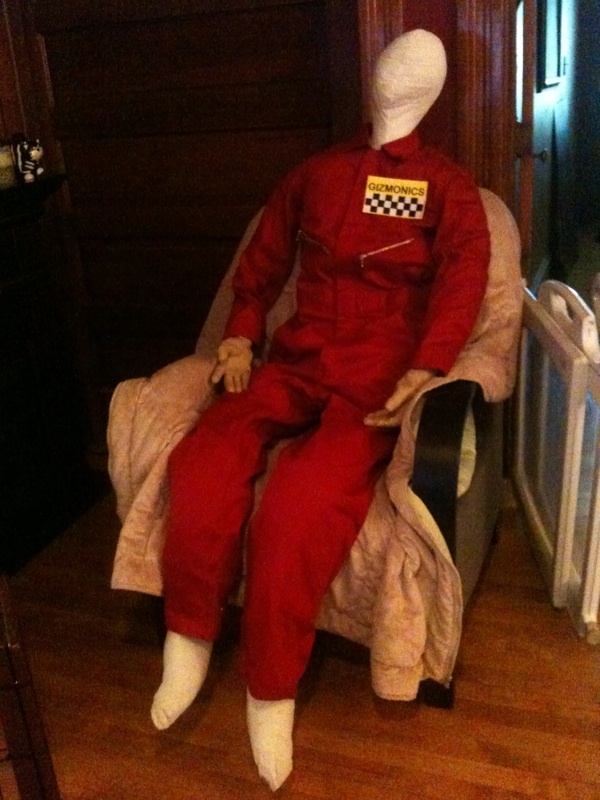 "I bought a medium-sized red Nomex jumpsuit on Ebay, it seemed more accurate than others I had seen on the net. 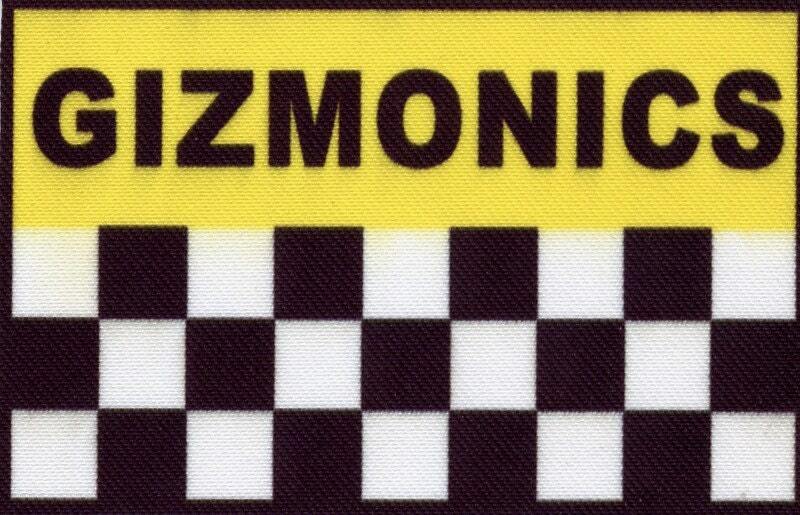 I created a stencil for the Gizmonic logo on the back and just spray painted it white. The Gizmonics patch I bought on Ebay and it's attached via Velcro that I attached to both the patch and the jumpsuit via Liquid Stitch glue (I didn't want to have to sew, but I also didn't want to just glue the patch directly to the jumpsuit). The belt is a black, stretchy belt commonly found at Walmart. The three belt loops I cut from red cloth, glued together via Liquid Stitch and then fastened them to the jumpsuit via eyelets. " I've looked through dozens online, but the flame resistant coveralls (like the one in the above video) look a little too "thick" for a Joel suit. Expensive to boot. Max, I assume you went with the purchased pattern? Can you tell us how it worked out? I've got some friends with needles that I may be able to assist me should I go that route. He's got some nice pics of the jumpsuit he had made over in the "brag thread." Thanks for the welcome. I looked through the pics and would be interested if Max had any tips regarding making one's own suit. I see that he went for a snap rather than a zipper. I've been Google-imaging for a while and can't actually confirm which was on Joel's suit. I know this is nit-picking, but isn't that what we do best? Anyone else have any views on that? Also, really encouraged to follow Evil Bob's lead and get a custom-sized Gizmonics patch from that seller. Just need to see what looks right on my build. I'm probably gonna get a custom-sized patch as well. Here's a pic of the custom sized 6" patch on a red jumpsuit. It actually is red, darned phone cam. Just wait until you see what I have in mind for him. Muhaha!